Nearly a third (30%) of Singapore employees said they did not receive their annual wage supplement (AWS) in 2016, according to a survey by JobStreet.com. The average guaranteed bonus last year stood at 1.45 months, the poll found. 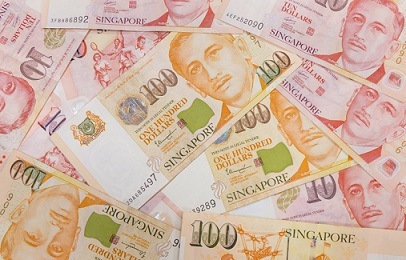 The AWS is also known as an employee’s year-end bonus received by Singapore employees beyond their yearly salary. It is not compulsory. Payment depends on what is an employment contract or collective agreement, according to the Ministry of Manpower. Employers can negotiate a lower amount of AWS if business results are exceptionally poor for the year, the ministry added. More than 35% of employees did not receive any performance-based bonus. According to JobStreet the poll interviewed more than 400 workers across various industries, from manufacturing to education and hospitality, telecommunication to accounting and medical. About 6 in 10 jobseekers (60.9%) are pessimistic about job prospects, as they believe that it would be hard to find a job in 2017. Similarly, 68.9% of them believe that companies will likely put their expansion plans on hold and not hire new employees. About 73% think that landing an interview and getting a job with good opportunities will be challenging. “This perceived outlook slightly deviates from our market sentiments. We saw a healthy increase in the number of job advertisements since December 2016. On average, we consistently have over 40,000 jobs posted on our website monthly. Hence, we believe that companies are still on a lookout for talent,” says Chook Yuh Yng, Country Manager of JobStreet.com Singapore. Some 13% of employers forecast an increase in staffing levels, while 5% anticipate a decrease, according to the firm’s survey of over 700 employers. “In general, companies will definitely still need to hire but many of them lack the budget for permanent headcounts, and are thus using agency contracting as a workaround,” said Linda Teo, ManpowerGroup Singapore country manager.